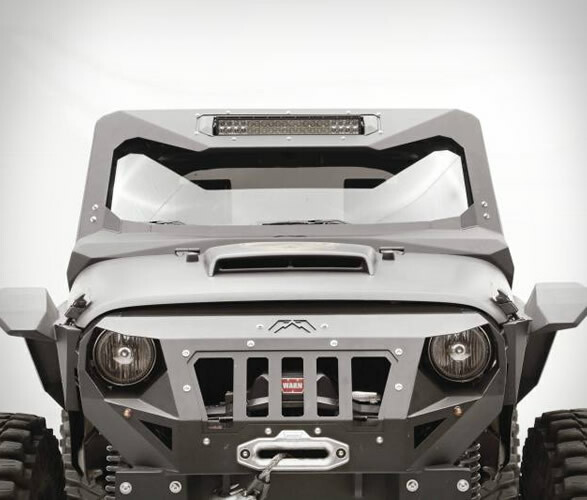 If you are a proud owner of a Jeep Wrangler, Fab Fours will let you upgrade your off-road machine and transform it into a menacing beast like the one shown above. 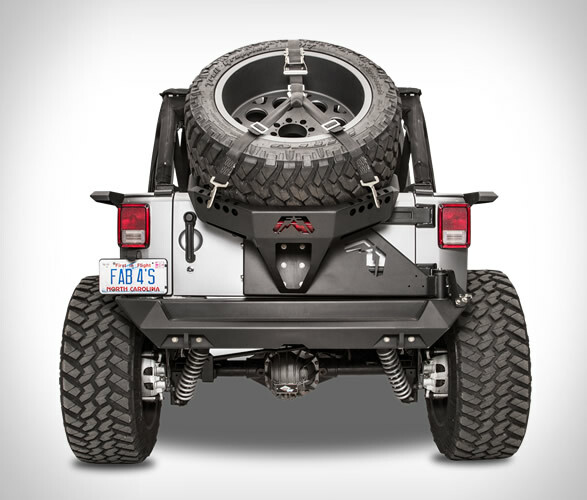 When it comes to aggressively styled jeep accessories, Fab Fours has constructed some really awesome parts to get your Wrangler ready to hit the trails. 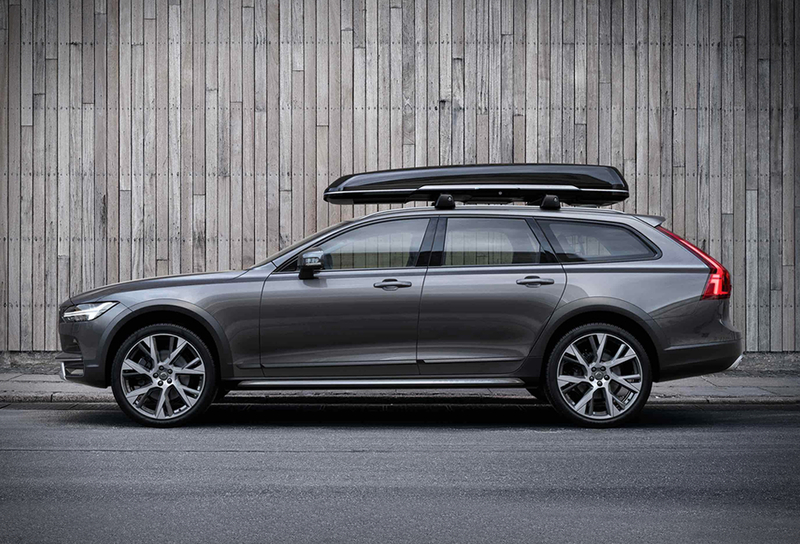 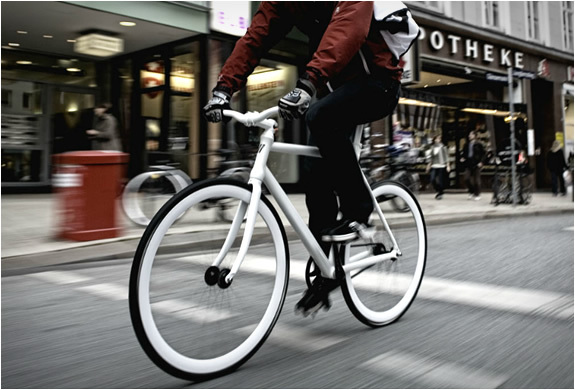 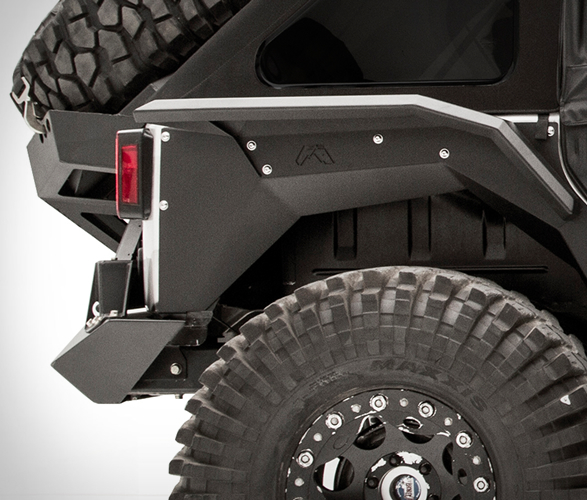 Their products are engineered to stand up to abuse and are extremely functional, while enhancing the looks of your vehicle. 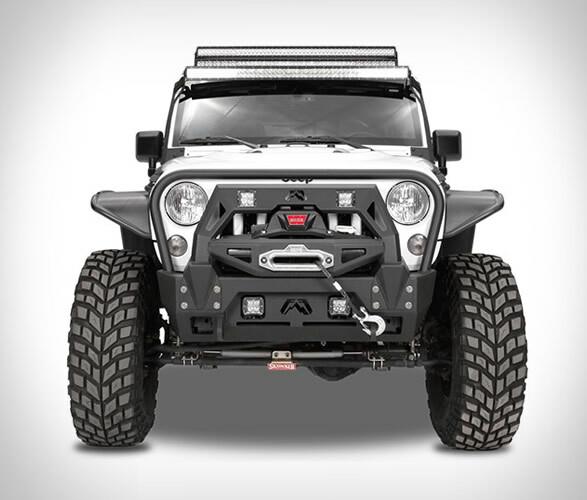 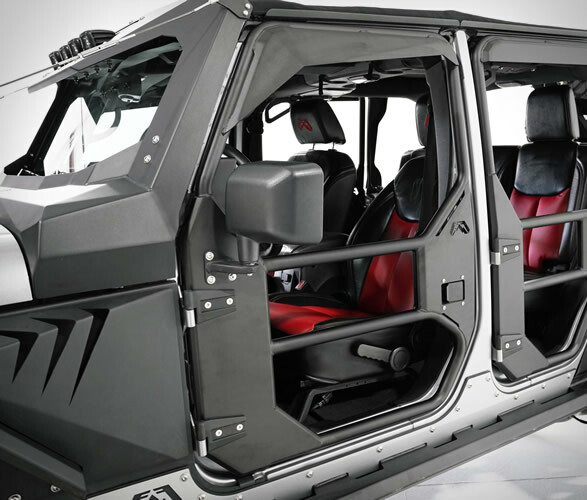 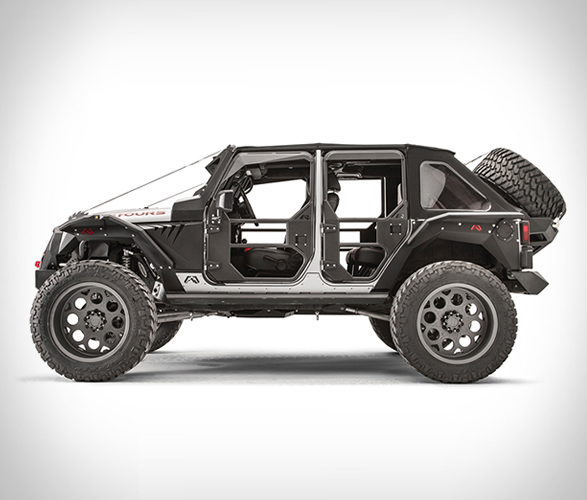 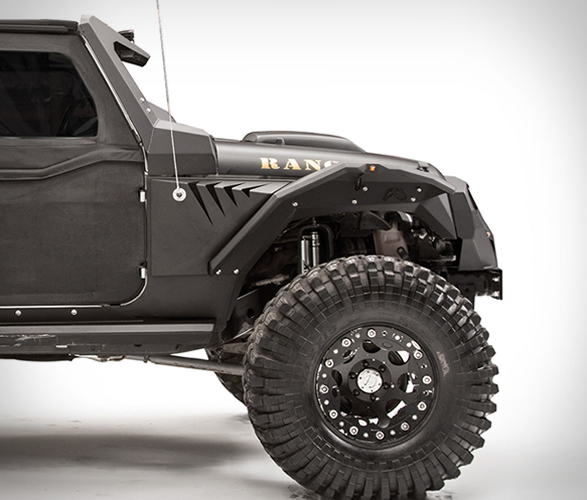 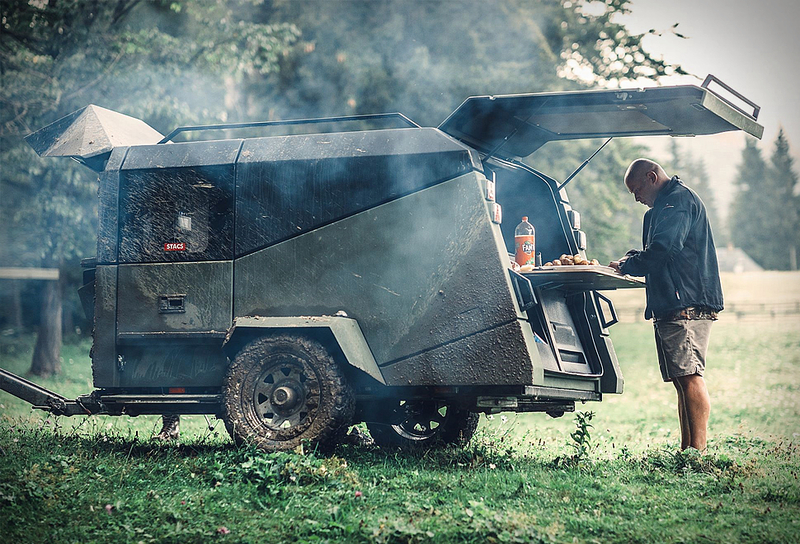 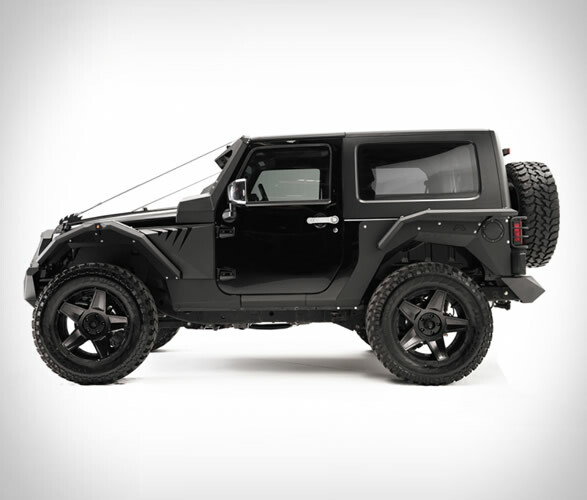 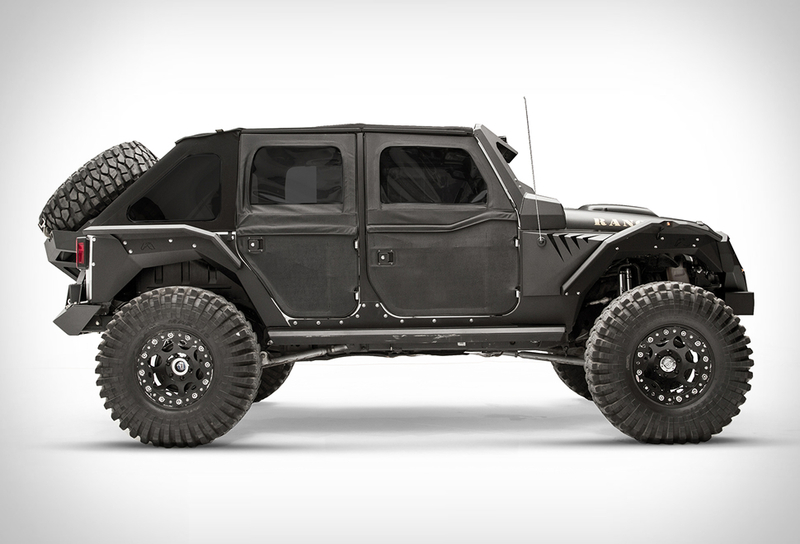 They offer and assortment of off-road vehicle gear such as grumper bumpers, rock sliders, a vicowl front windshield protection, winch bumpers, tubular doors, tire carriers, roof racks, and several accessories that provide unique styling and give your ride an fearsome aggressive look.